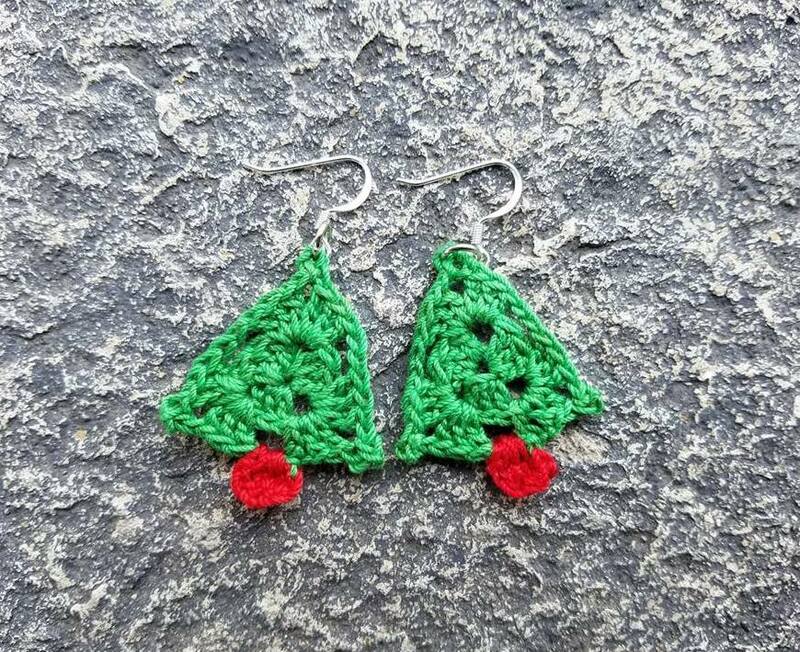 The patterns are not mine, but with a small adjustment of yarn size and/or crochet hook, these earrings come out to the perfect size for the holidays, and use up small amounts of scrap crochet thread. 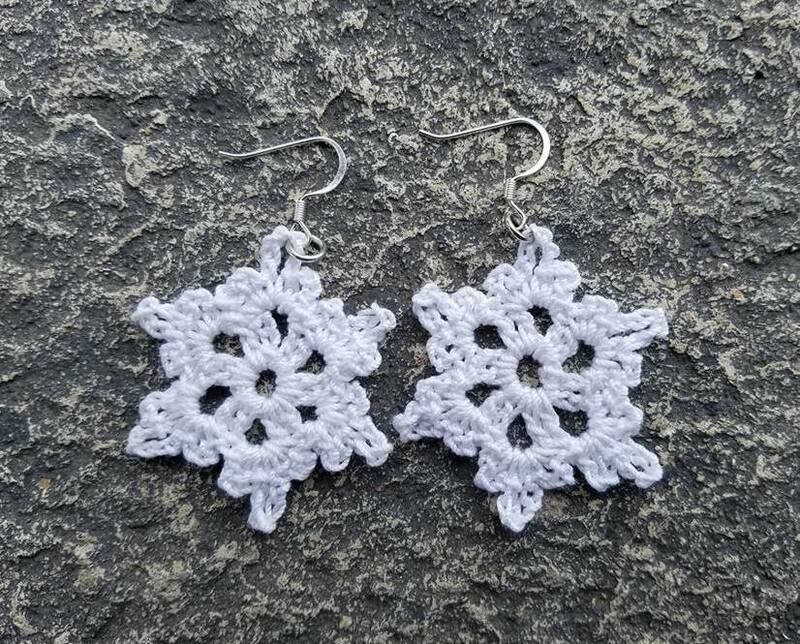 Simply use the crochet thread and hook size, mentioned under "items needed" to make these the perfect size for earrings. Add a gold bead at the top using craft glue, or by sewing one on. Her tutorial shows how to attach the jump ring and earring wire. 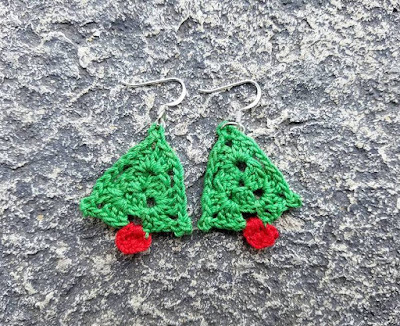 Simply use the size of white cotton thread and crochet hook mentioned in "items needed" and again, the Christmas tree tutorial above gives instructions on placing the finished snowflakes onto ear wires. Note: You can also make them as they are instructed, using larger yarn and hooks, and use them to gift inside cards for lightweight ornaments, or use as applique to decorate gift tags, or other items. 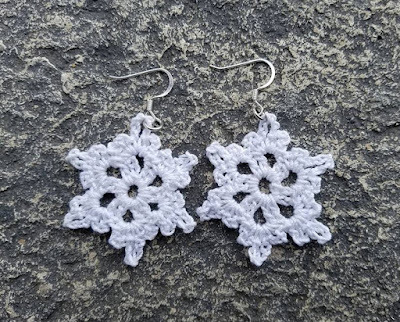 Use a #2 crochet hook and #10 crochet thread to make a bit larger of a snowflake and create cute garlands for small spaces (or Christmas Tree pattern). Make reusable lavender sachets easy and quickly, using scrap fabric and yarn. Scrap fabric and some recycled flannel can be quickly made into your very own cotton pads, also called cotton rounds. These replace cotton balls when applying facial astringent. 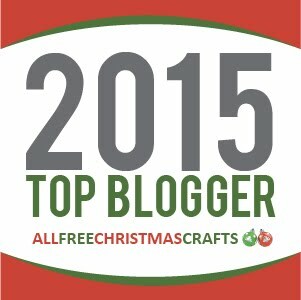 Make these fun, mini Christmas trees for pennies. Shop for metallic garland at your local dollar stores. Here's how to make them. Ornament inspired by my girls. . . I received so many amazing compliments on a scrap yarn I recently crocheted, that I decided to share it on this blog. I'm sharing the pattern as well. I simply used up any small balls of yarn, that were too small to use for a blanket. My photos are the same photos shown on my personal blog, only the pattern is shared here. I used many different brands of yarn to make this. I changed yarn colors as I ran out of yarn. To learn how to change colors, check out all the wonderful tutorials on YouTube.